Welcome to the Los Angeles Region at Aspire Public Schools! Our region has 11 high-performing schools serving over 4,000 students in the South Los Angeles, Huntington Park, and South Gate communities. We have eight elementary schools and three secondary schools. Within Los Angeles, we strive to imbue our work with the “Super Seven” qualities: Inspire, Innovate, Grapple, Discover, Thrive, Create and Love. Our schools are focused on equity and meeting the needs of all scholars in a variety of different ways. We have rich academic curriculum, strong connections to technology through our Blended Learning Programs, and an emphasis on educating the whole child through our Social Emotional Learning Programs. We are proud to be part of Aspire Public Schools which operates 40 college-preparatory public charter schools serving 16,000 students in underserved communities across California and in Memphis, Tennessee. 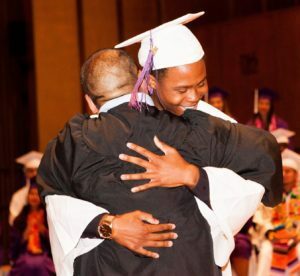 From Aspire’s early beginnings in 1998, when Founder Don Shalvey said, “Something needs to change, and we can change it,” Aspire has been on a path to change the odds for low-income students by delivering a rigorous COLLEGE FOR CERTAIN education to students in grades TK-12. There are eleven Aspire schools in LA, and our mission is to provide ALL students with an exceptional education that allows them to excel inside and outside the classroom by offering a rigorous core curriculum, outstanding leaders and staff, high standards and expectations, extended instructional hours, and personalized learning opportunities. EVERY DAY we seek to fulfill our promise that each child receives a high-quality education to prepare them for success in college, career, and life. Guided by hope and optimism, The LA Aspire staffs work closely with parents as teammates for student success. Our goal for 2017-2018 is as follows: The Aspire LA schools will be high achieving and successful schools by putting students first and foremost AND by creating learning environments focused on respect, joy, equity, teamwork, and a growth mindset. Come visit us any time. My door is always open! CREATE safe, inclusive, and welcoming learning environments where students attend and are connected to their schools. REFINE and EXPAND targeted intervention and supports for students’ academic, health, and social emotional development. ENGAGE parents and community partners through education, communication, and collaboration to promote student success. EXECUTE high quality, continuously improving instructional programs and college readiness focus; provide appropriate educational options to ensure that every student graduates college ready. SUPPORT regional leaders through professional development, coaching, and supervision. ENSURE compliance with all local, state, and federal legal and Ed Code requirements.